This year, Samsung Electronics will start to minimize and replace its plastic packaging with paper, recycled or bio-based plastics, and other environmentally sustainable materials. 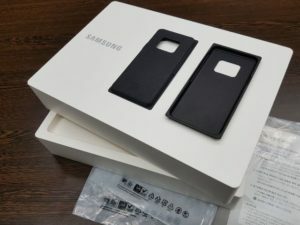 This include the packaging used for Samsung products and accessories, ranging from mobile phones and tablets to home appliances. Under its circular economy policy, the Korean tech brand has set a mid-term implementation plan to only use paper packaging materials certified by forestry initiatives by next year. By 2030, Samsung aims to use 500 thousand tons of recycled plastics and collect 7.5 million tons of discarded products–both cumulative from 2009. To achieve this goal, Samsung formed a task force that oversees the design and development of innovative packaging ideas. The department also manages the purchasing, marketing, and quality control of the new packaging. Under this program, the holder trays of mobile devices and wearable products will now use pulp molds instead of plastic. The brand’s chargers will soon feature matte finish, removing the need for glossy exterior and plastic protection films. The bags used to wrap accessories will also now be made of eco-friendly materials. Meanwhile, Samsung appliances will soon come protected by bags containing recycled materials and bioplastics. These new wrappers utilizes plastic wastes and non-fossil fuel materials like starch or sugar cane. For paper, the company will only use fiber materials certified by global environmental organizations.